On 2005, through the National Library Board (NLB), Singapore organized a nationwide campaign about promoting a society of Singaporean readers. 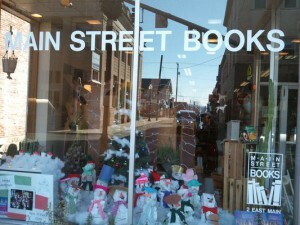 This campaign was designed to give an opportunity for the kids, youth and adult, to develop their desire to read. In the long run, this campaign is hopeful to turn the Singaporean people into a bibliophile nation. 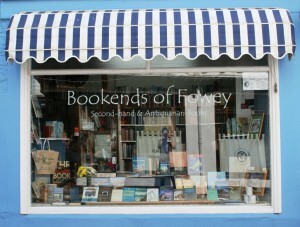 Bibliophile’s reads bounteous books. Definitely if you read a lot, you will gain more knowledge and understanding about so many things. And if you will notice, those people who are considered “intelligent” are always seen reading books. A person who reads a lot of high-quality novel makes him forget about everything else. Just look at those who are reading under the trees, who are seems to be so relax and calm. They seem to have that intimate connection with the story. A person, who loves reading, look at the words thoroughly. They look at the spelling, the grammar and the meaning of the words they are reading. Of course, you can’t understand what you are reading, if you don’t understand every word indicated there. They are the one whose memory muscles works all the time. When you read, you have to remember some details, facts and figures. This will create new pathways for your brain to recall and toughen your existing ones. Those people who are considered as a bibliophile thinks more and seems to have better viewpoints than others who don’t read a lot. When you read, it magnifies your knowledge because you have to use your brain, you have to think more and you have to widen your frame of reference. Enhanced vocabulary and stronger analytical skills are the results of reading a lot, which an excellent writer posseses. According to a survey conducted by Gallup, from being the lowest in the world on positive experience index on 2011, Singapore managed to be on top of the world ranking last year (46 percent in 2011 to 70 percent last 2012). This was considered as the biggest lift among the 143 countries surveyed by the international surveying company. 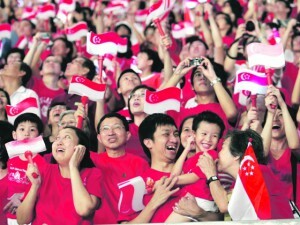 What can positivity brings to the Singaporeans? When you think of positive things, you see the goodness of other people. Instead of focusing in their imperfections, you pay attention in the things that they do best. This will give a great opportunity for you to have a strong and meaningful relationship with them. When you think positively, you will be able to get away from some of the stresses that lead to sickness. Studies show that one of the predisposing factors of having health problems like heart disease, asthma, diabetes and Alzheimer’s disease are caused by stress related factors. It is also a fact that good health will give you longer life. When you are positive, you can easily make something great out of all negative situations. Popular leaders are positive thinkers, they are good in decision making and they are able to influence others effortlessly. When you envision yourself doing something and you believe that it will happen with no uncertainty, definitely it will turn into reality. Having a positive outlook that good things will come your way in whatever situation you are in contributes to making it come true. Gone are the days where staying at home can’t do anything but watch TV. Today, the world seems to be very reachable because of the advent of the Internet. You can do pretty much everything if you have Internet access at home, including purchase of art pieces. So whenever you want to buy or just admire artworks, you don’t have to drive a mile away just to go to the nearest art gallery Singapore. One advantage of traditional art gallery that somehow lacks in online gallery is the validity of art authenticity. In online gallery, since pictures can be edited, flaws and authenticity marks can easily be removed or added to look appealing to the consumers, which is quite risky if you’re aiming to purchase an expensive piece of art. 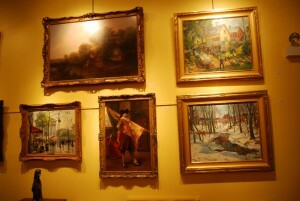 In traditional art gallery, you get to scrutinize and view the artwork much closer to validate its authenticity. If you’re an art enthusiast with an eye that can spot authentic from fake, you’ll greatly benefit in traditional art gallery than in online gallery. If you’re an artist aiming for an exclusive art exhibition, an online gallery may not be good choice. Since the Web is easily accessible by anyone, you cannot achieve the exclusivity you’re aiming for. For world-renowned artists or artists who intent to do an exhibit for a certain group of people, traditional art galleries can help control the number and kind of audiences in your exclusive art exhibit. Online art galleries have solved location and mobility problems for art enthusiasts. Online art galleries did not only make it possible for viewers to view works of art from all over the world, but it also serves as an excellent platform for both aspiring and prominent artists to showcase their works on a much larger scale. Another advantage that online art gallery has is that the viewers can view and buy art works at their own leisure. Though there’s much charm associated with actually viewing an artwork in person at vinci affordable art singapore but only a few people can actually afford to do it. With the travel costs, work related problems, and daily commitments, one cannot afford to simply go and leisurely view artworks with all those baggage left behind. This is where online art galleries have definite edge over traditional galleries. You can now purchase art pieces without spending a single cent for travel expenses. Furthermore, when you sign-up for an online gallery membership, you’ll automatically receive email updates of next events. You may also receive catalogs of artworks through email so you can browse at your convenient time. Previous exhibits and paintings are also recorded and forwarded to you for your reference. For events held simultaneously, you can inquire or check online on how to attend the art exhibitions in person. 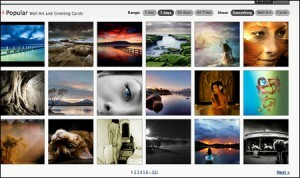 An online gallery website allows you to view art at your own convenience. If you’re an aspiring artist, selling your works on a Singapore online gallery allows larger scale of viewers to browse through your works. Also, websites today are much more affordable than traditional gallery spaces in Singapore. Through online, you don’t only expand your reach but save a lot from gallery rental expenses as well. Chinese New Year – Every February, Chinatown lights up and merriment commences because it is the Chinese New Year. 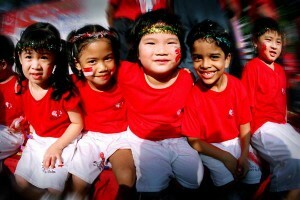 Apart from visiting Chinatown, you can also witness the Chingay Parade and the River Hongbao. Singapore Fashion Festival – If you are a fashionistas, why not grab the chance to join the Singapore Fashion Festival happening every March or April? You will surely see and even experience the glamour of both local and international fashion industries. World Gourmet Summit – If you are a foodie, your taste buds will surely be delighted when you attend the World Gourmet Summit happening every April. Here, you’ll have the chance to meet renowned chefs and master winemakers from all over the world. National Day – The most important day of Singapore should not be forgotten. Our National Day happens every August 9. 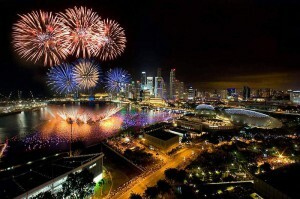 Celebrate by going to the National Day parade and watching extravagant fireworks and displays. Hari Raya Puasa – To conclude the end of Ramadan, residents of Kampong Glam and Geylang invite many people to visit their street lighting and night bazaar. Mid Autumn Festival – If you have Chinese ancestry, Mid Autumn Festival is another holiday for you. This festival happens every September or October. Expect beautiful lanterns and, of course, mooncakes. Singapore Arts Festival – If you are a patron of the arts, you will surely love the Singapore Arts Festival happening every May or June. Here you can witness modern and classical plays, music and dance. You can also meet renowned performers who will be showcasing their latest masterpieces. Great Singapore Sale – Singapore is known as a “shopper’s paradise”. If you want to shop, the best time would be the Great Singapore Sale happening every May or July. What makes this attractive is its island wide sale. Singapore Food Festival – The annual Singapore Food Festival happens every July. If you’re craving for a gastronomic journey, you should not miss this festival. You will be awed by the variety of food here. Deepavali – If you want to witness Little India’s transformation, you should go out and see Deepavali happening every October or November. Deepavali is known as the Festival of Lights. Christmas in the Tropics – If you are looking forward to the spectacular display of street lights from Marina Bay to Orchard Road, you should see the Christmas in the Tropics happening every December. Here in Singapore, there is always something for someone. There was an accident at the Ayer Rajah Expressway on October: a taxi was trampled by a tipper truck. 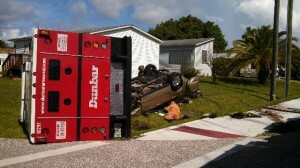 By the look of the cab, everyone feared for the life of the driver and passenger, but miraculously, both were alive. After 90 minutes of rescue, the Singapore Civil Defence Force was finally able to pull the two and brought them to a nearby hospital for treatment. Prevention is better than cure, right? This saying is also applicable to our cars. If you are a cab driver, or own any vehicle that’s used regularly, you should bring your unit to the mechanic for regularly maintenance. Whether you are riding a cab or your own car, you should remember to wear the seatbelt. Simply wearing your seatbelt dramatically increases your chance of avoiding grave injury should an accident happen to you while riding. Some victims of car accidents die because they ignored their seatbelts. If you are ever caught in a wreck, do your best to stay calm. If it’s possible, take a moment to breathe deeply and assess the situation before making any actions. Avoid panicking as this will cloud your judgment, and it will be bad for your blood circulation, and might make any injury you have sustained to get worse. Call the police or any emergency hotline. If, for some reason, you can’t call the police, call someone you can trust who can relay your situation to the police. When you make the call, state where you are calling from, what happened, and your condition. Epi-LASIK is a fairly new to the industry of laser eye surgery, but certainly the most advanced. It combines the best features of other laser refractive procedures, such as PRK, LASEK, and LASIK. Basically, this latest technique of eye surgery involves separating of epithelial tissue from the corneal surface. A tool called epikeratome is used rather than a blade slicing deep into the corneal layers to create a flap, like what LASIK surgery does. The acronym Epi-LASIK means “Epi” for Epithelial and LASIK for Laser in Situ Keratomileusis. Here are some of the most asked questions by Singapore patients who wish to undergo the most advanced laser eye surgery. Both Epi-LASIK and PRK performs the treatment on the corneal surface, but with PRK the corneal surface layer is cut and removed, which results to a much longer healing period compared to the other laser eye surgery. Furthermore, the latest laser refractive method doesn’t use alcohol solution during the surgical process and lesser post-operative complications are reported by Singapore patients compared to PRK. Epi-LASIK usually takes 10 minutes to perform. You will be prepared by numbing your eye with anesthetic drops and holding your eye open with a special eye tool. Your Singapore ophthalmologist like clear lasik by tony ho in Singapore will then use an oscillating blade to gently create an epithelium flap on top of your cornea. Then, the flap is folded out of the way and the cornea is reshaped with an eye laser tool. 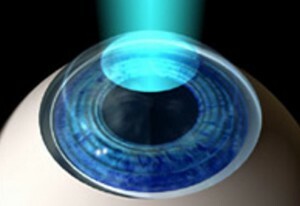 After which, epithelium flap is returned to its position and a special lens is placed atop the eye to act as a bandage. 3. “What should I expect after the surgery? Epi-LASIK’s recovery time is usually longer than traditional LASIK surgery. After the procedure, your eye surgeon will place a special contact lens on the surface of your cornea to protect the newly operated eye. After three days, you can already remove the contacts and may have nearly perfect sight, or could also take a week or more to stabilize. It may take up to more than a week before you will be able to drive. During the post-operative period, you may experience some discomfort, which should be manageable through medications. The recovery period from Epi-LASIK surgery may actually be longer than conventional LASIK, but definitely shorter that other types of laser eye surgeries. With LASIK, Singapore patients may notice improvements hours after surgery and may regain functional vision the next day. With the newer eye surgery, it may take a week until you will be able to gain back your driving sight. However, this surgery has lesser discomfort during post-operative period compared to LASEK and PRK. Epi-LASIK is considered much safer than traditional LASIK surgery because of it is not as invasive. Singapore surgeons only cut smaller amount of corneal tissue and the eye completely heals afterwards. The newest technology is also an advancement to give chance to Singapore patients with abnormal or thin corneas and dry eye conditions to correct their vision. Though the recovery time of the newest surgical procedure is much longer than LASIK, it is shorter compared to PRK and other laser refractive procedures. Most Singapore patients who had the surgery before have also reported that they have experienced minimal to no pain and less “dry eye” conditions during their recovery. A thousand of wedding ideas will definitely make the most creative wedding ever, and the best way to solicit wedding ideas is through a wedding forum. Brides in Singapore often use bridal forums to gain ideas for their wedding. A lot of wedding planners and experts in Singapore form an online community to help soon-to-be brides. But before going around to different forums, know first these proper etiquettes on how to behave on an online wedding forum. Administrators of a wedding portal need to ensure that the posts in the forum should never go off topic. That’s why they set rules in posting comments that every member should follow. The rules will serve as a constant reminder for the members on how to behave properly in the forum. Avoid text and chat lingos. Discussions in a wedding forum can be really extensive and, most likely, deals with unfamiliar words. 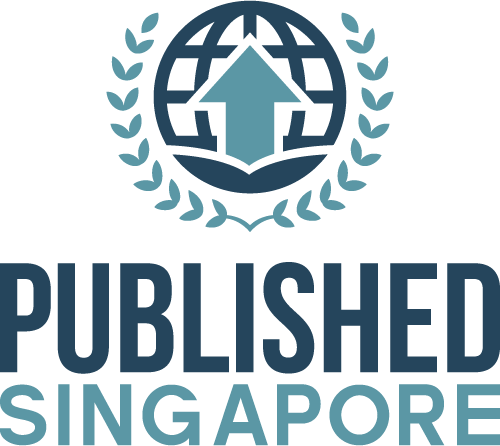 You don’t have to be an outstanding writer to be a member of a the best wedding forum in Singapore but you just have to be substantial in your every post. Using text and chat shortcuts are oftentimes the source of confusions and misunderstandings. So spell out those words properly and make sure your thoughts are well-delivered. After all, there are no character limits in online forums. Just because a user hides behind an avatar portrait with an unrealistic nickname doesn’t mean manners should be forgotten. Practicing respect and common courtesy still is very important in an online portal. Although it is hard to convey the real tone of your post, the proper choices of words can help deliver the message you intend to say. Capitalization also matters. Using an ALL CAPS form to a certain phrase or sentence may convey the tone of shouting. Lastly, avoid flame wars. These are heated responses between people. When the words used are harsh and insults are thrown back and forth, definitely it isn’t a healthy discussion anymore. 4. Do not take everything personally. Remember that you cannot please everybody. Although you have the right to say your opinion, respecting and understanding others will make the discussion run smoothly. Constructive criticisms may have the power to hurt your feelings. So, do not dwell too much on it or else your next posts will be highly affected and may cause you to be ousted from the wedding forum. 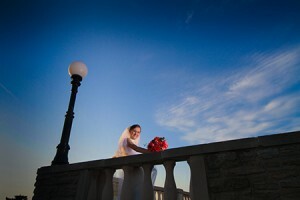 A wedding forum can be a place for exchange of ideas. This will not only help soon-to-be brides but will also create an intellectual community regardless of the anonymity of the members.